Totaling 34 billion metric tons, global carbon dioxide (CO2) emissions reached another record high in 2011 despite an overall reduction in OECD countries, weakening global economic conditions and increasing use of natural gas for electricity generation in the US. Particularly troubling, rapid, fossil fuel-driven industrialization has put China within “the range of 6-19 metric tons per capita emissions of the major industrialized countries,” according to the Netherlands Environmental Assessment Agency (PBL) and European Commission’s Joint Research Centre’s (JRC), “Trends in global CO2 emissions” report. Average CO2 emissions per capita in China increased by 9 percent, to 7.2 metric tons per capita. European Union (EU) CO2 emissions fell 3 percent, to 7.5 metric tons per capita, while per capita CO2 emissions in the US, at 17.3 metric tons per capita, far outdistance them, according to PBL-JRC’s 2012 annual report, which is based on “recent results from the Emissions Database for Global Atmospheric Research (EDGAR) and latest statistics on energy use and relevant activities such as gas flaring and cement production. The rapid pace of industrialization in China and other emerging/developing market economies, such as India and Brazil, now overshadows that of the world’s most industrialized countries as represented by OECD membership, PBL-JRC found. CO2 emissions in OECD countries overall now account for only 1/3 of the global total. Weak economic conditions, a mild winter and energy savings spurred by high oil prices led to CO2 emissions declines of 2 percent in OECD members Japan and the US, as well as the EU’s 3 percent decline. Taken together, CO2 emissions in China and India– where CO2 emissions increased 9 percent and 6 percent respectively in 2011– account for the same share of overall global CO2 emissions as all 34 OECD member countries. Ongoing construction and infrastructure development lead to significant increases in Chinese fossil fuel consumption last year, in turn driving China’s CO2 emissions higher. Driven by growth in cement and steel production, China’s coal consumption increased 9.7 percent. Putting 2011’s global CO2 emissions into longer term context, PBL-JRC noted that 2011’s 3% increase is greater than the 2.7 percent average over the past decade, which includes a 2008 decrease and a 5 percent jump in 2010. 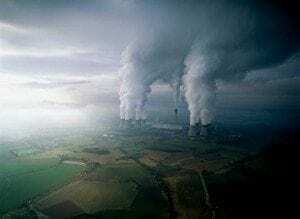 Total estimated cumulative global CO2 emissions as a result of human activities amounted to 420 billion metric tons, according to the report. Encouragingly, they added, the upward trend is mitigated, at least in part, by rapidly growing deployment and use of renewable energy sources, solar energy, wind energy and biofuels in particular.